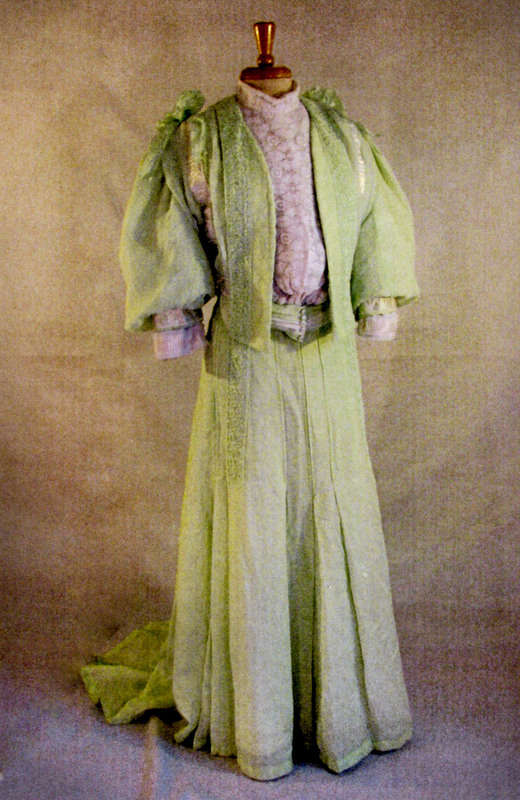 The choice of the ‘celadon damasque’ with its elaborate figuring combined with the embroidered sheer is typical for the era and style. 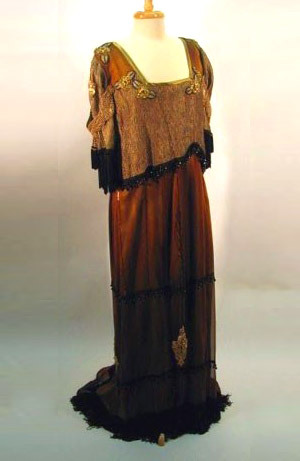 The large bertha adds to the draped mono-bosom effect, but allows for the beading of the floral and vine designs to glitter through the sheer creating additional highlights. 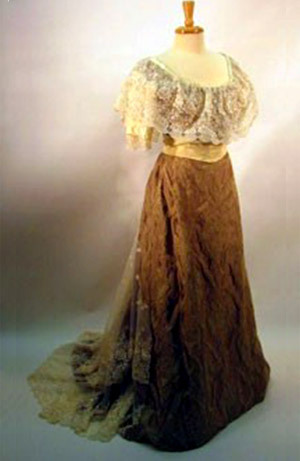 The bodice is an adaptation of the 1898 ball gown with the closures moved to the back. 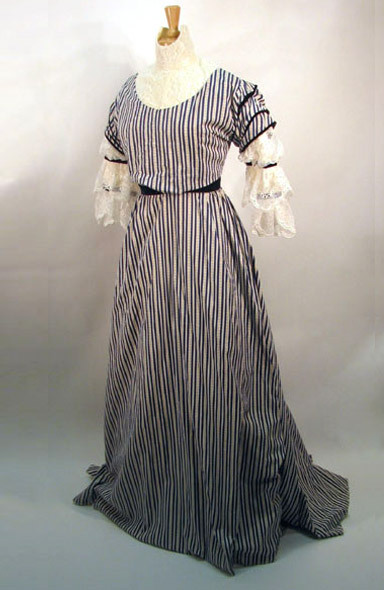 The sleeves are hand applied as in the original bodice. 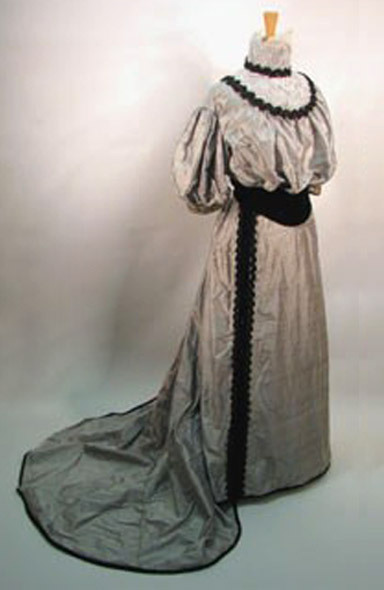 The lining is fitted but cut without the point front of the dancing dress and is draped to create the Edwardian monobusom for the later era. The belt is fitted and boned. 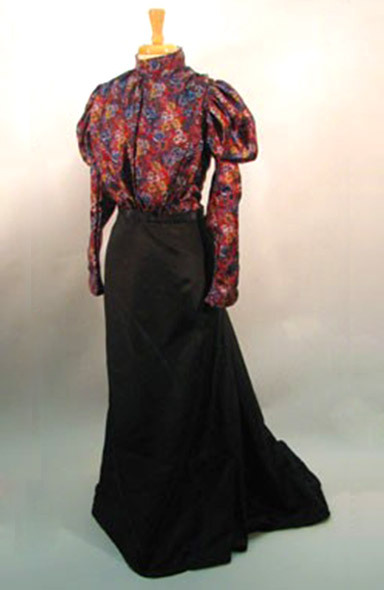 The skin is built from the Past Pattern skirt used in the dancing dress seen in the previous illustrations but the back four gores are lengthened and widened to create a more full skirt. 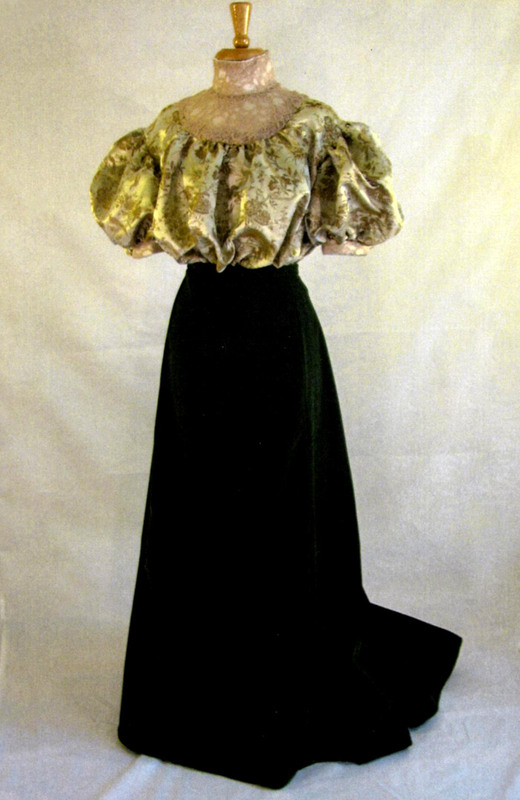 The lace train resulted from the limited amount of the damasque, requiring a lining of olive green shot silk for the skirt itself and the lace creating a shined and draped two layer train. The effect is both elegant and dramatic. 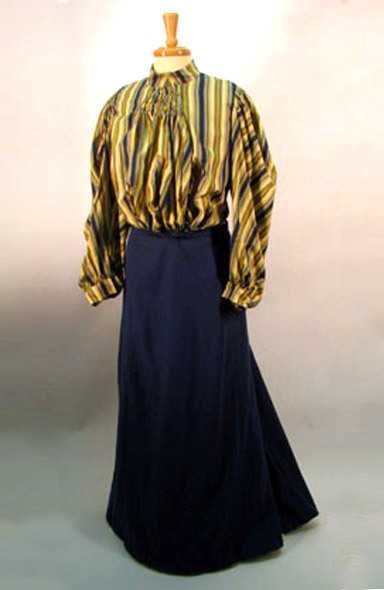 The garment was built for Mrs. Peter Burns of Roswell, Georgia, for work as a docent in a museum plantation home. 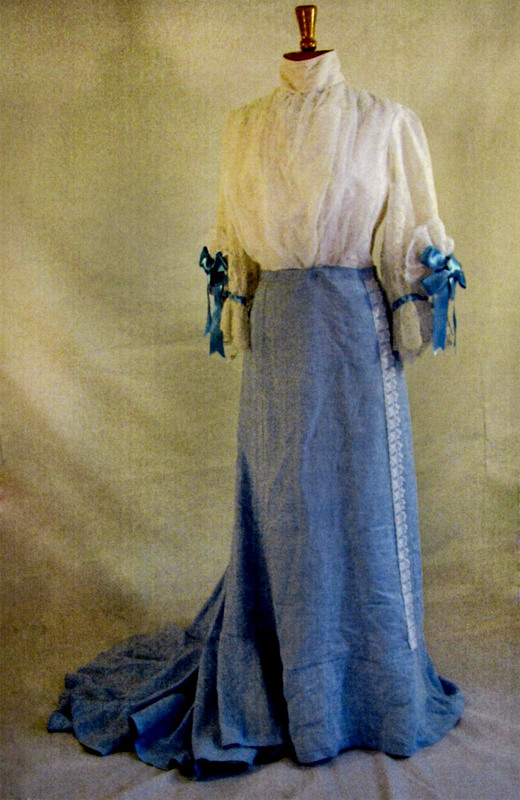 The creation of this bodice from a predated pattern is typical of dressmaking techniques used in the belle époque where clothing would have been re-cut and redesigned for continuous use as styles changed.